CES - de grootste technologiebeurs ter wereld - brengt de beste technologiebedrijven, innovators, influencers en enthousiastelingen samen in Las Vegas. Oh ja, en toen ging het licht uit. 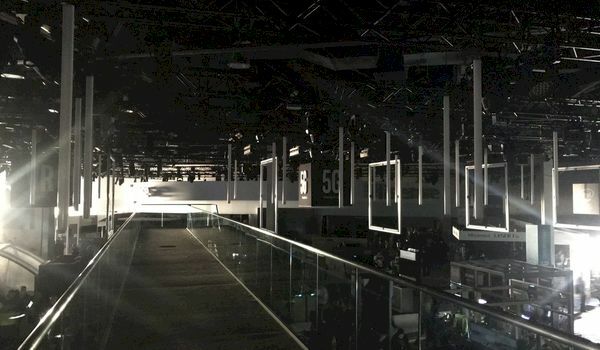 Het officiële statement van de organisatie: "Today at approximately 11:15 AM, the Central Hall and South Hall bridge meeting rooms at the Las Vegas Convention Center lost power. A preliminary assessment indicates that condensation from heavy rainfall caused a flashover on one of the facility's transformers. We are grateful to NV Energy for their swift assistance, to our customers and their clients for their patience and to the staff for ensuring the safety and security of all attendees and exhibitors."